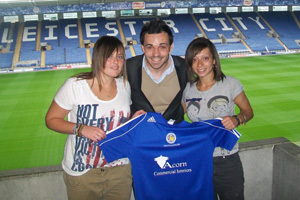 Leicester City Ladies first Team Manager Matt Cook welcomes new members of the first team squad. 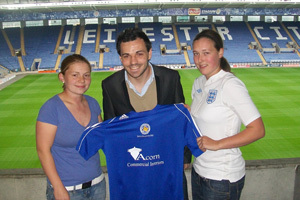 I would like to welcome everyone back to Leicester City Ladies and into a new season 2011/12. 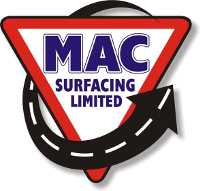 Firstly I have two departures to announce those of Assistant Manager Steve Walton and Senior Club Captain Annie Rudkin. Steve Walton has been a great number two and has on several occasions taken over the reins in my short time here, I thank him on behalf of everyone for his time and efforts for Leicester City Ladies. After 14 years at the club Annie Rudkin has decided to hang up on her boots, having only been in charge for one year at Leicester City Ladies I have only worked with Annie for a short time but like to say she is one of the most honest, hard working, loyal and committed footballers that I have ever had the pleasure to work with, her dedication should be a bench mark for everyone at the club. 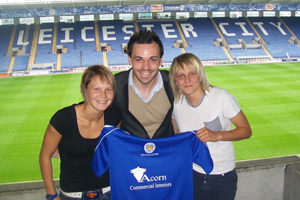 From all at Leicester City Ladies I thank you Annie and wish you every success with your junior team in 2011/12. On a more positive note I would like to welcome Andy Marsden and James Taylor to the first team coaching staff. Both Andy and James have been at the club for a year working with Reserves and Fosse teams. Ali Spencer will move up to fill the vacated assistant managers role. 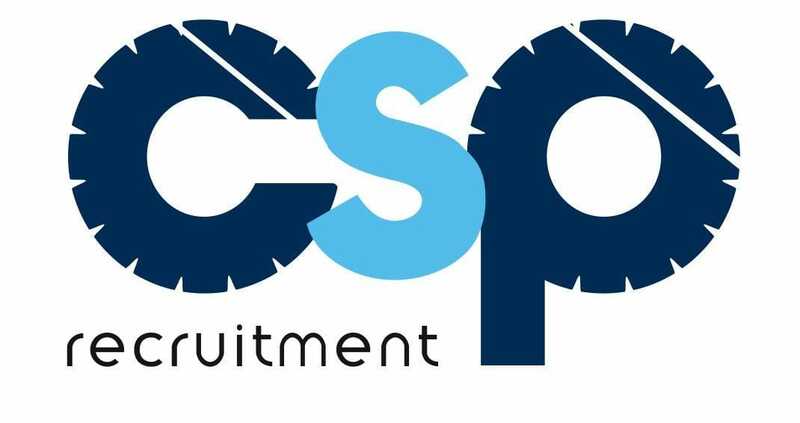 With Club Captain Heather Fyffe and Team captain Erica Preston in place Leicester City Ladies first teams now needs a new Vice Captain, therefore I would like to announce that the role has been offered to Ashleigh Bingham and I am delighted to say that she has accepted. 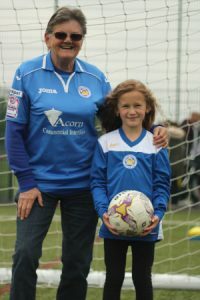 Ash is a model pro and sets a great example to the squad, she is a popular girl and this showed with her being named players player of the year 2010/11. It is this hard work and improvement that made it an easy decision and I am delighted Ash has accepted the role. As of Tuesday 5th July Leicester City Ladies first team are back in pre season training and anyone over age 16 who wish to join or try out for the team please come along to a session or email the first team manager.